Once you’ve found your venue, the next step in wedding planning is choosing the best wedding photographer for you. Your wedding photographer will play an essential part in your wedding day. Not only will your wedding photos fill your home with happy memories, they will be heirlooms you pass down to future generations. In essence, they will become a part of your history as a couple. It’s important to discuss with your partner what you’re looking for in a photographer so you’re on the same page before you start to meet wedding photographers. Here are my four tips on how to choose the best wedding photographer for you. From getting ready in the morning to the champagne toast at your reception, your wedding photographer will be there to document your wedding day. You’ll spend much of the day with them with them standing a few feet away from you. Choosing a wedding photographer who you genuinely mesh with will make the day more enjoyable. By choosing someone you like being around it will bring out the best in you as a couple. Ask yourself questions such as: Is this photographer relaxed, organized, professional, and easy to talk to? Will this photographer alleviate the stress of the day or add to it? Take time to read the photographer’s about me and reviews to see how other couples felt about working with them. For me, getting to know my couples is one of my favourite things about being a wedding photographer in Toronto. After the initial meeting, I often meet with my clients again for coffee or dinner to get to know them better. By the time their wedding day rolls around, we’ve exchanged a million messages back and forth. From things such as their crazy Uncle Joe, photo locations, and every couple’s Everest: their timeline. When their wedding day arrives, I am aware of more than their schedule: I know who they are and what moments they’ll value the most. I understand the impact my role has on their day, and I take my responsibility to document these valuable moments seriously. There are several different wedding photography styles; below are four current trends in wedding photography. Decide which styles suit you best as a couple. This will then help you narrow down which photographers to talk to. Keep in mind most photographers will likely shoot a combination of the styles below. Photographers with a soft, clean, and light aesthetic are associated with this style. Couples who like portrait-style posed photos with bright backdrops will be drawn to this type of wedding photography. As the name states, this style of wedding photography has a bolder, darker feel and is characterized by dramatic lighting and edgy editing. This style is focuses on candid, imperfect moments with few-to-no-posed photos. Photographers with this style will take a fly-on-the-wall approach to shooting the day, giving less direction to their couples and photographing the day with more wide shots. Adventure wedding photography is for couples who couldn’t imagine celebrating their nuptials in a traditional fashion and don’t mind getting dirty. 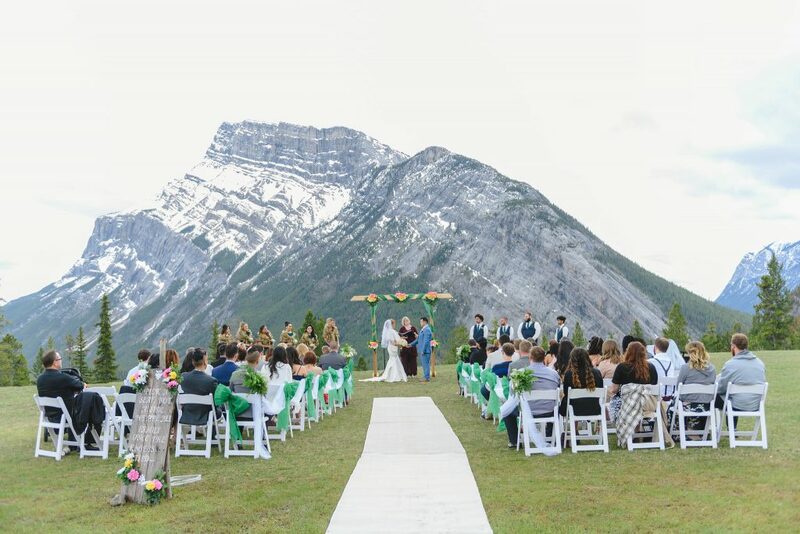 Dramatic outdoor backdrops help define this style of wedding photography. Ask to view a few full day wedding galleries. When you view their portfolio does it give you the tingles? Do you feel connected to the work they create? 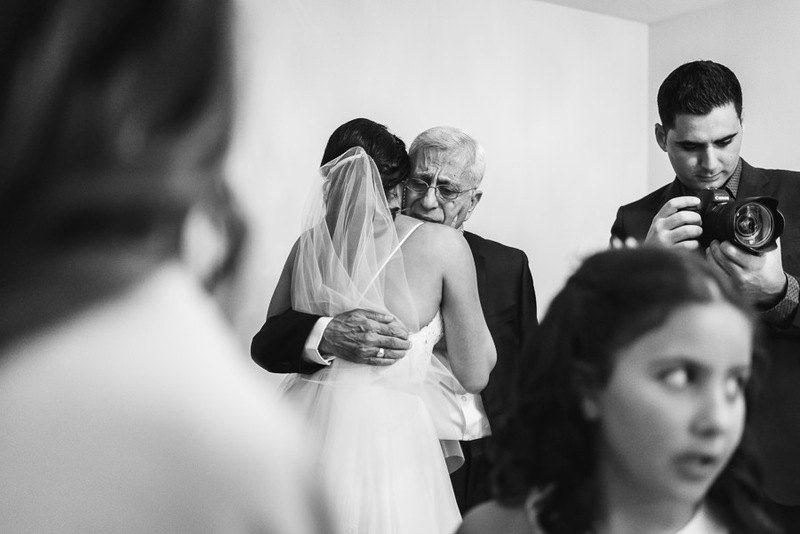 Their full wedding galleries will also give you a sense of how they photograph different situations such as rainy days, dimly lit rooms, or large groups of people. Viewing these weddings will allow you to see how they photograph different lighting situations throughout a full day. Other great questions to ask are, What do they do when it rains? How will they provide you with the images? When can you expect to see the wedding photos? As for me, on the wedding day, I carry two cameras in case anything happens to one. My cameras and pro lenses are fully insured. After a wedding day shoot, I load all images onto multiple hard drives to ensure that all images are protected and saved. Afterwards, I provide all artistically edited wedding photos in a password-protected online gallery within eight weeks. To view my rainy wedding day plan click here. Choosing the right wedding photographer for you is a big decision. 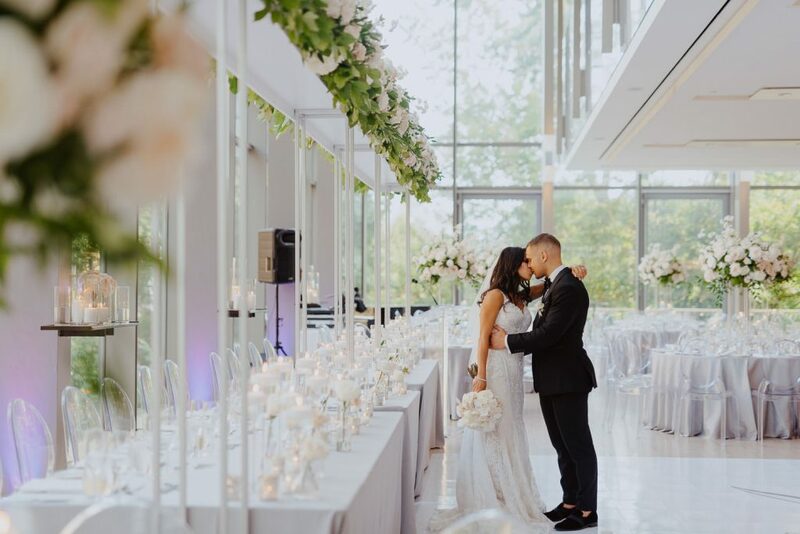 There are many talented wedding photographers in Ontario to choose from. So do your research and decide what you’re looking for in a wedding photographer before reaching out. Lastly, once you’ve decided who you’re interested in, schedule a meeting with them. Meet them in person or over Skype/Facetime/phone to get a feel for who they are and what their process is like. Avoid selecting more than three Photographers (this applies to meetings with other vendors as well). Often, meeting with multiple Photographers will lead to confusion. Couples who schedule multiple meetings say they forget each photographer’s portfolio and what they have to offer. Meeting many Photographers won’t make your decision making any easier, but it will lead to wedding planning fatigue. Spending your evenings and weekends shuffling from one meeting to the next isn’t the best use of your time. You’ll want to choose a wedding Photographer who will put you at ease and have an aesthetic that matches you as a couple. I photograph weddings in a candid way that shares the individuality of the couple. This means giving them the space to be who they are whether that be tickle fights, funny faces and quirks. For example, one of my couples greeted each other everyday by jumping in the air and slamming their bellies together. I thought this was hilarious and so them! So I made a point of photographing their belly slam and it ended up being one of their favourite wedding photos. I truly believe the photos that capture you authentically are the ones you will cherish the most. That’s why I put an emphasis on documenting how the day truly looked and felt. I hope you enjoyed reading my top four tips on how to choose the best wedding photographer. If you have any questions send me a message.